A friend once described Macey as "existing in the chaos", and it resonated. Hard. As a freshman at the University of Delaware, Macey was basically bullied into auditioning for her college improv troupe by her friend Mike, and she’s so glad that she gave in to the peer pressure for a change. Like many others before her, Macey had no idea how much her life in DC would change when she signed up for her first class at WIT, and she loves it so much that sometimes she still can’t believe it’s real and will tell you about how it happened ≈12 times (at least). She has been performing for nearly 10 year and is currently a member of WIT ensemble Madeline, director of WIT Special Project Improv Actually, and performs/gets into general nonsense with her indie team, Reina. She loves all of them and will tell you how much she loves all of them ≈24 times (at least). Above all else, she wants her classroom to be a place where students feel comfortable to experiment, ask questions, and grow. She encourages finding the “truth in comedy”, and play that includes elements grounded in reality and emotion, while also leaning into the chaos and following the fun that comes naturally comes from creating something out of nothing. 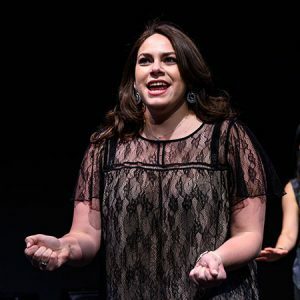 She loves that improv can be a way to explore situations and ideas that we can’t always do “in real life”, and encourages her students to embrace all of the opportunities that the DC improv community presents. According to spiritanimal.info, a bear?